Panorama Palms Frail Care Cape Town helps its residents feel as comfortable as possible and enjoy life as far as possible, and provides the family with peace of mind. Residents are able to relax in a a secure and friendly environment that caters for each person’s requirements. For those that are mobile and able, the beach is just a short trip away but most residents prefer to simply relax in comfort at the frail care. 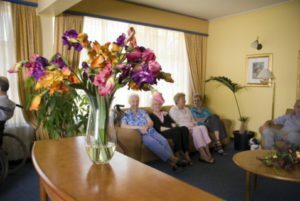 The best part is the Trans 50 frail care Cape Town facilities offers a range of accommodation and services, structured towards the evolving needs of the older person, so someone could stay at the retirement village and progress to frail care when the time comes. Trans-50 frail care Cape Town is managed by qualified and experienced managers. The managers are supported by a management committee which is elected by the residents of each village. The employees participate in training and development programmes to keep them upskilled. The facility’s emphasis is on integrity and world class customer service. The staff strive to make each resident’s stay exceptional. All programmes are designed in consultation with a multi-disciplinary team and under the guidance of gerontologist experts.